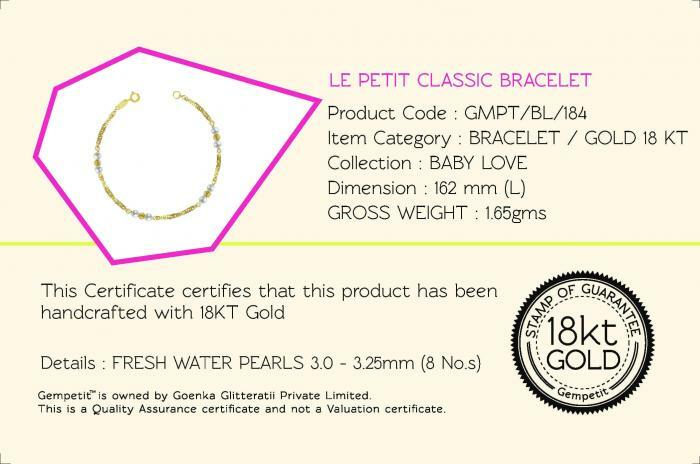 The classic pearl and gold ball bracelet is a versatile and understated keepsake. For babies, siblings and moms. Ideal as a baby shower gift or for daughters of any age. It add elegance to everyday wear.